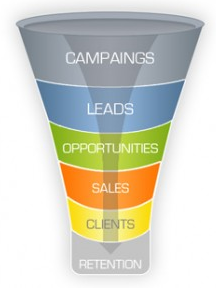 In the PREVIOUS ARTICLE we described what a sales pipeline and sales funnel are. When you learn to better manage your sales funnel and sales pipeline. You have a powerful tool, which will allow you to design a sales forecast that will accurately predict how much revenue you can expect to generate each week, month, quarter, annually or within any other chosen time frame. Ensure that each sales professional has sufficient qualified future customers in their sales pipeline, to support them to achieve their sales targets. Track the right Real-time data to support your sales teams’ efforts, to move their future customers through their Sales Funnels. For any sales pipeline to be successful, it is crucial that is designed and developed from the get go with the objective of achieving your sales quota. 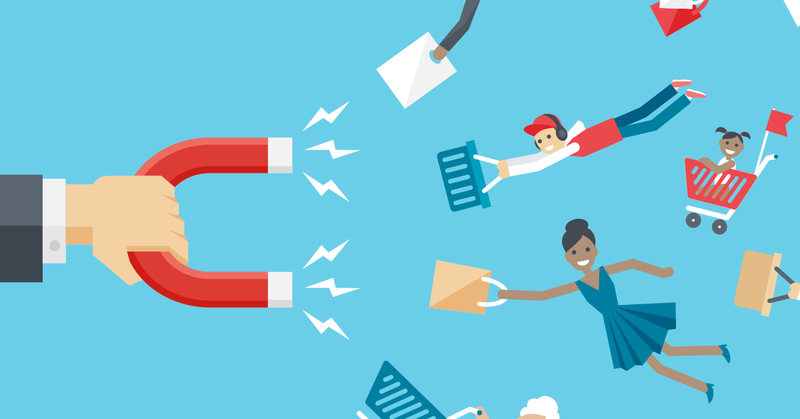 In other words, it is crucial that there is a sufficient flow of new qualified leads to ensure it is possible to achieve your sales target. Based on your closing ratio (win rate). 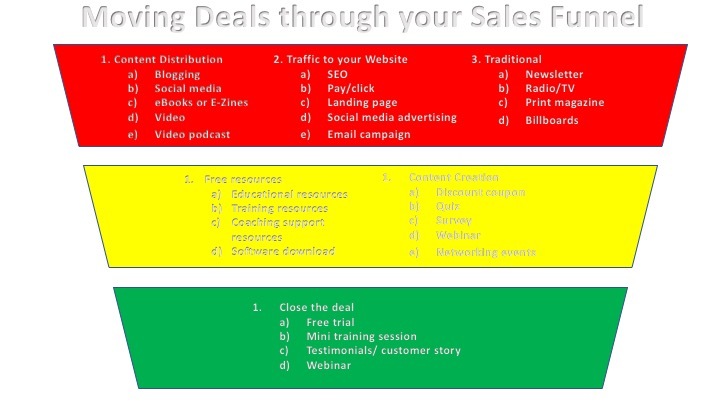 Are there enough deals at each stage in your sales funnel process, to achieve your sales target? What is the average size of each deal? What is the expected lifetime value of each deal? 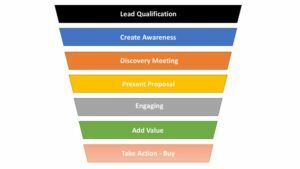 How long will it take to move each deal through each stage of the sales funnel process – sales velocity? “Is each sales team member producing sufficient new opportunities to support them to achieve their sales target”? Understanding what needs to be done at each stage in your sales funnel process, to keep deals moving through your sales funnel. They will edify referrals and make acquiring future customers a breeze. Support them to move their qualified prospects through the various sales processes within their sales funnel. Sales Professionals must have enough velocity in their sales pipelines. This means that this sales professional needs to close 10 Deals/month to achieve his or her sales target. The first thing to do is to know what your closing ratio is. This is a ratio, which measures how many customers you close, out of how many opportunities you get or create. Ensuring that there are sufficient opportunities in your sales Pipeline is crucial, if you are to achieve your sales targets or quotas. You obviously need to ensure that you have enough “QUALIFIED LEADS” or deals going into the top of your sales funnel. The next crucial step for any sales leader, is to track and support (coach) your sales team members to ensure that they move each deal through each stage of your sales process, as smoothly and quickly as possible. The more coaching support and guidance you can offer to your sales team members, to encourage them to move their future customers through all the stages within your sales funnel, the easier it will be to achieve your sales targets. Action Idea: You must know and regularly measure your sales pipeline metrics and you must support your sales team to move each deal as quickly and smoothly through your sales process or sales pipeline as possible. Qualify sufficient leads to ensure that they close sufficient deals at an average sales value to achieve their individual sales targets. Create awareness with your future customers, by offering Coaching and guiding your sales team to create relevant content, which highlights your organisations level of expertise. 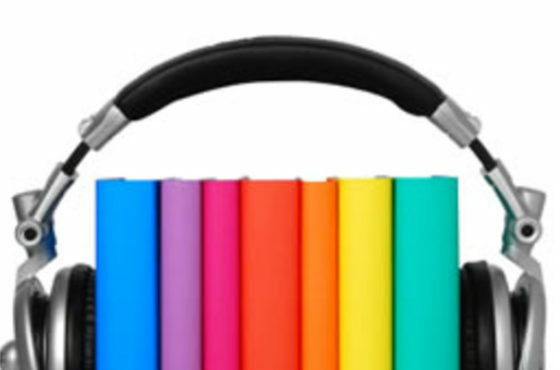 The content they distribute must be designed to show your future customers that both your sales professionals and organisation are the go to experts in their field and markets. Ensure that they hold sufficient discovery meetings, to ensure that they close sufficient deals, at the average sales value, to ensure that they achieve their sales targets? 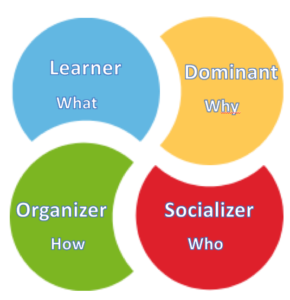 Guide them to connect the information they have discovered during their discovery meetings, so that they can connect your value proposition to each specific future customer’s needs and values. Guide them to tailor their proposals to speak to each specific personality type in a way they understand. After delivering the proposal the next crucial stage is the engagement stage. During this phase it is critical to “FOLLOW THOUGH” on a regular basis. During this phase we send our future customers e-Zines designed to offer support around subjects like handling rejection, mitigating objections etc. The best way I can describe adding meaningful value to each deal to move it towards completion, is by giving you an example, which I use in my own organisation. After conducting the discovery meeting, we don’t leave the meeting without setting up the next meeting, which is the one where we deliver the tailored proposal. We invest time to ensure that we have written each tailored proposal to suite each specific clients unique needs. 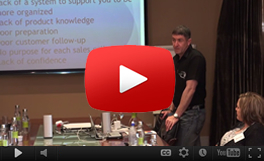 We then offer to deliver a complimentary 60-minute talk to our clients sales team. If we still have not managed to close the deal, we then offer a free 360-degree assessment process, which measures eight crucial sales competencies. This report generates a coaching report to support the sales leadership to improve the coaching with their sales teams. It also gives us insights to where the sales team needs the most training and support. At this stage we have normally closed a major proportion of our deals, but should we still have a few open deals, we then offer to invest two hours with the sales leadership team to help them develop or enhance their predictable sales process. Explore each phase in the sales process, as each sales team member moves each deal through the sales funnel. The objective of each sales leader has got to be not just inspecting the progress of each deal through the sales pipelines of their team members, but rather to coach and support each sales member to move things along as quickly as possible. Why do you need to have measurement criterion? I am sure most of you are thinking analysis – paralysis or if you spend so much time measuring the progress of your deals through your sales pipeline, you will have little time to actually SELL. The truth is – “WHAT GETS MEASURED – GETS DONE”. In other words when you invest the time to set up systems, which support you to measure all the crucial metrics and you evaluate, your sales performance against these metrics. You are able to answer one really crucial question, namely: “ARE THE SALES ACTIVITIES I AM PERFORMING DAILY DELIVERING THE OUTCOMES I WANT”? If they are not it allows you to take whatever corrective action you need to take, until your daily sales activities do indeed deliver the outcomes you want. Remember that all progress requires change, but not all change results in progress. In other words, you will need to keep measuring your progress against the various metrics. Then you will need to keep honing and polishing your daily sales activities, until you start to achieve the outcomes you want. In the next article, we will explore the above concepts in more detail.